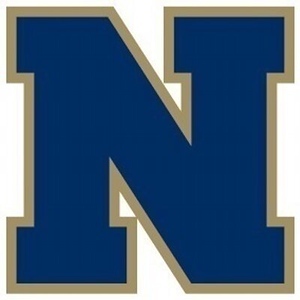 NEWINGTON-Joey Zawisza started on the mound today and was lights out, carrying the Indians to a 4-0 victory. The senior only surrendered four hits to the Eagles, while striking out seven and not walking a batter. He improves his strikeout-to-walk ratio to an impressive 33-to-2 so far in 2018. The win for Newington puts them at 7-4 on the season, one game away from clenching its postseason berth. Tim Blaisdale picked up the loss for Wethersfield, who drops to 7-4 as well. New Britain 14, Rocky Hill 3: The Hurricanes scored in bunches, with a pair of six-run innings en route to the win. With the win, New Britain has clinched its spot in the postseason. Will Homar picked up the win for New Britain, while Tyler Schiavone got the loss for Rocky Hill. Danniel Rivera led the offensive onslaught with a three-run home run. Ruffino Santiago added three hits, including a triple. Justin Adorno added two hits of his own. The Hurricanes have now won seven in a row and are 8-3 on the season. Rocky Hill drops to 4-5. Goodwin Tech 6, Prince Tech 2: It was a back-and-forth fight, but the Gladiators pulled away at the end with a four-run seventh inning. Thommy Hughes powered the offense with a solo home run. Hughes, Matt Anderson, Ryan Johnson and Anthony Decosta all had two hits on the day for Goodwin Tech. Anderson started on the mound, picking up the win. John Maldonado got the loss for Prince Tech. The Gladiators move to 7-5 on the season, while the Falcons drop to 3-8. Northwest Catholic 8, Southington 3: The Blue Knights are two games away from clinching their playoff berth. They would have been one game close but Southington came up short against the Lions. The Blue Knights’ didn’t get on the board until the top of the fourth inning. Josh Tanarella and Brandon Kohl both hit doubles on the afternoon as Southington falls to 6-7 on the season. Berlin 203, East Catholic 237: The Redcoats Bridget McQuillan had quite the day on the green, earning her first career medal. Sydney Duke (49), Jackie Cooper (52) and Rachel Varley (56) also scored for Berlin. The Redcoats improve their record to 3-1. New Britain 247, Plainville 272: The Hurricanes picked up their first win of the season. New Britain’s Kiley Griffin was the medalist as she shot a 56. The Hurricanes were also led by Cate Keefline who shot a 60, Kendra Lavesk who shot a 59, Leah Daffney who shot a 72 and Morgan Giantintio (75). The Hurricanes improve their record to 1-3. Middletown 254, Newington 209: Although the Indians fell to the Blue Dragons, Newington walked away with two medalists; Jessica Pierzchalski and Chloe Bilodeau who both shot a 47. The Indians were also led by Taylor Kelly who shot a 54, Maddie Massarro-Cook who shot a 61 and Leah Tofeltt (63). Glastonbury 5, Newington 2: The Tomahawks dominated, only surrendering the No. 4 singles match, won by Abby Molloy, and the No. 3 doubles match, won by Kelly Iskra and Lucy Slattery. Maddie Denucci, Sydney Baird and Zibha Gogu won the first three singles matches. Dollie Agraweil and Niyati Miyatihora won the first doubles match, while Emily Jacy and Gwen Butterfield won the second. “Newington as a whole played well, against a very experienced Glastonbury,” Newington coach Sean Hussey said. The loss drops Newington to 4-5 on the season. Berlin 6, Enfield 1: The Redcoats cruised to victory, only dropping the No. 1 doubles match, where Jon Kelly and Brandon Dang picked up the win for Enfield. Dom Biello and Ryan Cyr, along with Jackson Lombardi and James Zovich, picked up the two doubles wins for Berlin. Jonathan Trevethan, Thomas Fijalkowski, Kevin Stafstrom and Justin Chyra swept the singles matches. Berlin head coach Rex Smith said it was "a win for the Redcoats keyed by hard-fought wins at No. 2 singles by Tom and No. 4 singles by Justin." Berlin is now 2-4 and squares off against Glastonbury on Thursday. Posted in New Britain Herald, Berlin, Goodwin Tech, New Britain, Newington, Plainville, Southington on Wednesday, 2 May 2018 21:14. Updated: Wednesday, 2 May 2018 21:17.